Imagine a ten-year-old girl, wearing her mother's gingham apron and carrying a basket, skipping through a suburban neighbourhood while singing at the top of her lungs: "We're off to see the Wizard!!" Imagine that same girl, now "grown-up", doing the same thing, and you'd have a good mental picture of Carmen. 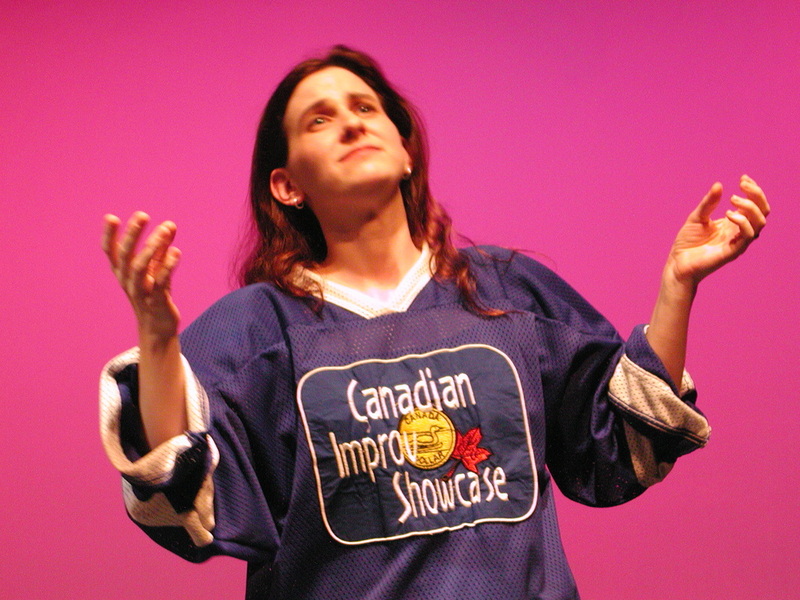 Born and raised in Guelph, Ontario, Carmen has been a performer since she was four years old. Her mom would organize "shows" for her friends in the back yard, with puppets, songs and dancing, but stupidly didn't charge admission at the time. production of "Li'l Abner" (where she met her future husband). She moved to the GTA after she crashed an audition for a children's play in Toronto and got that role. Some of her favourite stage roles since then are Melissa (Love Letters), Agnes Gooch (Mame), Lina Lamont (Singin' in the Rain), The Wicked Witch (The Wizard of Oz) and skipping around Casa Loma as The Merry Fairy. She is also very pleased to have been part of the 2009 book tour for Dracula: The Un-Dead for which she read as Mina in Toronto, Montreal and New York. In the film and television world, she's had a line or two in the series "Twice in a Lifetime" and "Zoe Busiek: Wild Card". Short film appearances include award-winners "The Missing Piece", "First Light" and a finalist in George Lucas'-sanctioned 2009 Fan Film Contest, "Star Wars: Blasted Behavior" which she also co-wrote. Her own short puppet film, "Grouchy Tiger, Hiding Dragon" is on Youtube, and if you live in Southern Ontario you may recognize her from local commercials for Cookstown Auto (with a robot dog), Hotels.ca (having just given birth) and Canadian Tire (as "Smashey" the ornament-dropping sister). 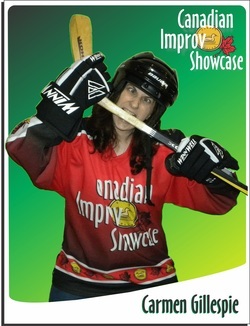 Now a proud mother of two, she's still very happy to be part of Canadian Improv Showcase, and would like to acknowledge her husband Alex for being so supportive, all her improv and theatre friends, and Matt for giving her the opportunity to behave like a fool where it's socially acceptable.